For Dev Hynes, Every Sound Is A Color "I see no reason to not just try everything," the musician says of his new album as Blood Orange. Hynes spoke with NPR's Melissa Block about his shape-shifting sonic identity and living with the sensory condition synesthesia. 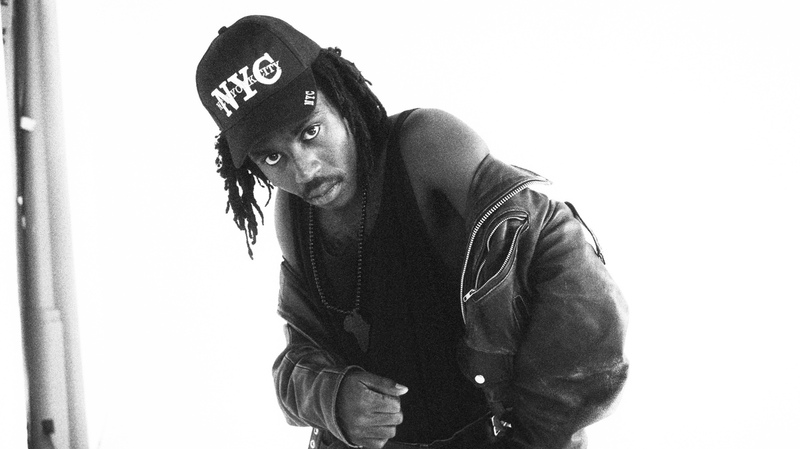 Cupid Deluxe is Dev Hynes' new album under the name Blood Orange. Devonté Hynes is a musical shape-shifter. On his first album, he went punk with his band Test Icicles. When he went solo under the name Lightspeed Champion, he switched to a folk-pop sound with strands of country. In his latest incarnation as Blood Orange, Hynes transforms his sound once again into slinky synth pop. "People seem to think that if you do lots of different things over the course of a timeline, it means that you kind of disregard what you did before," Hynes says in an interview with NPR's Melissa Block. "But that's not true of me. I still genuinely like everything I did as much as I liked it when I released it. ... I see no reason to not just try everything. I feel like we all have such varied tastes and to not try our tastes is a crime." Cupid Deluxe, Hynes' new album as Blood Orange, follows several years of songwriting and producing for other artists, including Solange and Sky Ferreira. His appetite for variety and exploration is paralleled in his approach to living with synesthesia, a condition that links the senses — such that every sound he hears is associated with a color. "When I was younger," Hynes says, "I wanted to just, like, throw the whole paint can onto the canvas and just see what would happen. ... Whereas now, I'm kind of enjoying it and exploring the interesting scientific part of it as much as I can, and trying to celebrate it and invite other people to enjoy it."